James Cook helped his astronomer Charles Green observe the transit of Mercury at Te Whanganui-o-Hei (Mercury Bay), Coromandel Peninsula. When the planets Mercury and Venus pass across the Sun, they are visible as small black dots. Timing these ‘transits’ from different locations was the first accurate way to determine the distance between Earth and the Sun. After observing the transit of Venus from Tahiti, Cook sailed HMS Endeavour towards the land skirted by Dutch seafarer Abel Tasman in 1642, which was sighted on 6 October 1769 (see 6 October). Over the next months, Cook mapped the entire coastline, establishing that this was not the fabled Great Southern Continent. Cook called Māori ‘a brave, war-like people’. The Europeans were initially taken for atua (supernatural beings), ancestors, or visitors from ancestral Hawaiki. In some places, conflict broke out and several Māori were killed. As 9 November approached, Cook sought land from which to observe the transit of Mercury with a sextant. 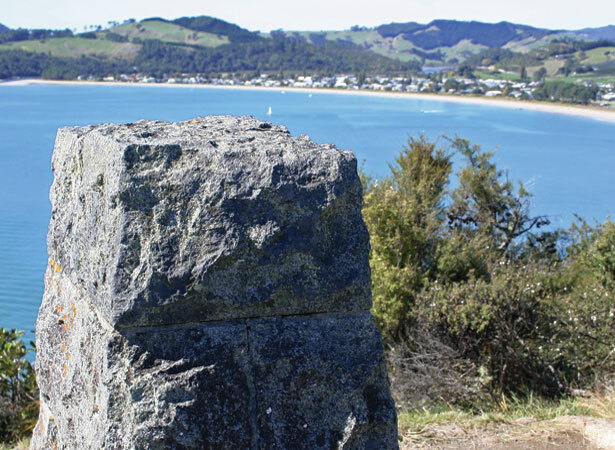 A cairn on Cook’s Beach marks the spot. Six days later, on 15 November, Cook raised the British Colours at Mercury Bay, claiming the area in the name of King George III. The next transit of Mercury fully visible from New Zealand will occur in 2052. We have 4 biographies, 1 article, related to Cook observes transit of Mercury.